Looking to start an exercise routine or continue an ongoing regimen as the leaves start to change? If so, fall is the perfect time for fitness — whether you’re just starting to think about getting pregnant or you’ve already got that new-mom-to-be glow. And while there’s no better time to start exercising than during autumn weather, there are some key things to keep in mind. These five tips and suggestions can help get you off to a great start. The change of the seasons offers a great opportunity to mix things up. In addition to keeping boredom at bay, changing your exercise routine can help prevent stagnancy and maximize results. While it’s important to talk to your doctor before beginning a new fitness program, there are many options out there just waiting to be discovered — from jump rope to tap dance. Don’t be afraid to try new things — particularly if your summer workouts are starting to feel stale. While inclement weather will occasionally keep you inside, this doesn’t mean your workout plans are over until sunny days. Instead, have a backup plan. This can be as simple as walking or running in place at home. Consider using the time to catch up on your favorite fall premieres! After all, exercise and television watching don’t have to be mutually exclusive. 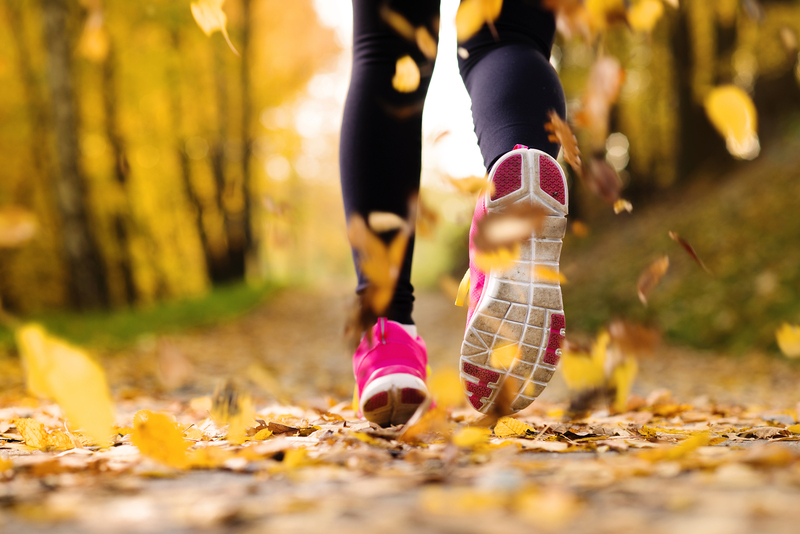 As fall progresses, the days will grow shorter making it more challenging to get your outdoor exercise in. If possible, plan your workout for the morning or afternoon to avoid dealing with the dark. However, darkness doesn’t entirely eliminate exercise from the equation. If there’s no time to walk except during or after dusk, invest in a headlamp or flashlight and a reflective vest. As the air develops a chill, you’ll likely feel cold when you start exercising outdoors. However, as your blood starts pumping and your body warms up, you may feel warm or start to sweat. Factor in pregnancy hormones and regulating your body temperature while working out becomes even more of a challenge. Layers offer a simple solution to the “cold or hot dilemma.” Choose maternity activewear featuring moisture-wicking fabric, along with additional layers for warmth and protection from the elements. Our pick? The Signature Short-Sleeve Maternity Tee, which not only features everything you need to feel great while working out, but also looks amazing enough for everyday out-and-about action. And don’t forget sunglasses! The fall sun can still burn bright, and protecting your eyes from UV rays is as important as ever. 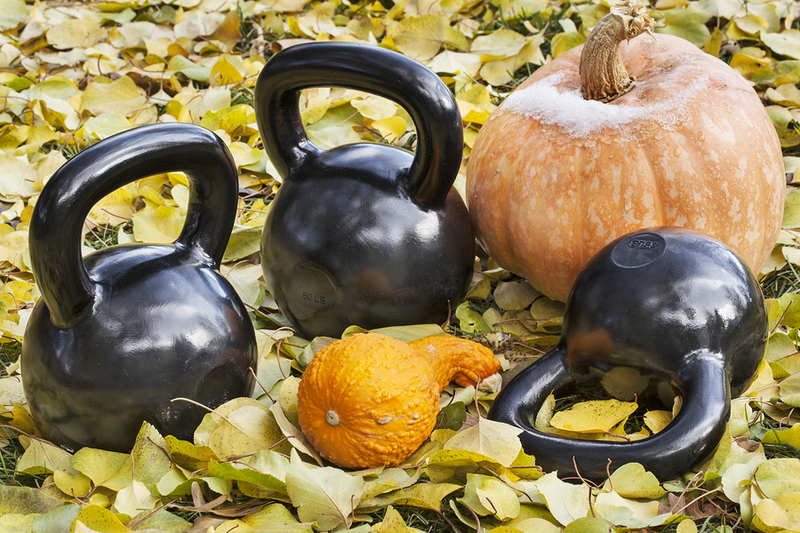 Ultimately, the best way to stay healthy and fit as the seasons change involves planning ahead. Whether you’re attending a zumba class at the gym or taking a walk through your neighborhood after work, the more you account in advance for everything from the weather to your wardrobe, the more likely your plans are to go off without a hitch. That’s not to say your plans won’t change, but these plans — along with the ability to adapt, if necessary — can help keep you on track with your overall fitness goals before, during and after pregnancy. Warm sun, cool air, and gorgeous scenery add up to the perfect workout conditions for mamas-to-be. So get out there and get moving — your body and your baby will thank you for it! For more useful content aimed at helping you celebrate your bump, bookmark the For Two Fitness blog.